french farm hack’s registration open now! You will have the opportunity to take part in a wealth of activities: introductory sessions to metal work, talks, workshops, conferences, etc. In this form you can tell us the activities that interest you the most, and help us to put together a programme that suits your needs! The aim is not only to tell us what you’re interested in, but also what you feel you will be able to do, without trying to cram in too much. To take a look and to book, click HERE! Leave a Comment on french farm hack’s registration open now! 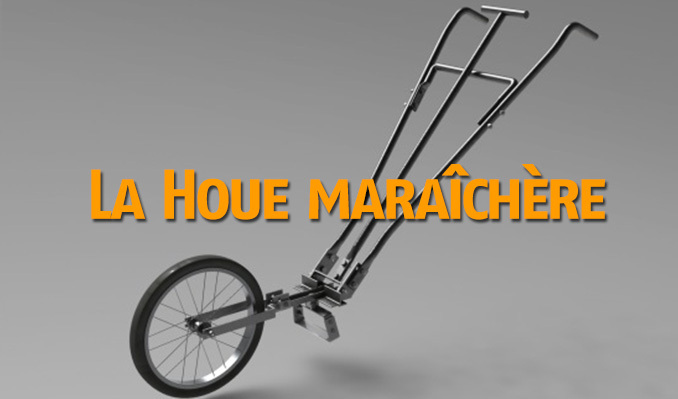 a french tool box of farmer-driven technologies and practices…now in english! Check them out, because they just translated their website into English! Leave a Comment on a french tool box of farmer-driven technologies and practices…now in english! I don’t know about you, but the list of words that I can actually read is French is pretty short, spans the length of soufflé to the lyrics of “Lady Marmalade.” So, when I look at this website, I can just barely string enough cognates and context clues together to glean the most basic and yet exciting fact: there will be a Farm Hack event in France June 17th-19th! But that’s really neither here nor there. The point is, there’s a farm hack in FRANCE. And we think that’s pretty freaking great. Maybe you read French. Maybe you live in France. Maybe you can glean more information from this than I can. Leave a Comment on farm hack in france! 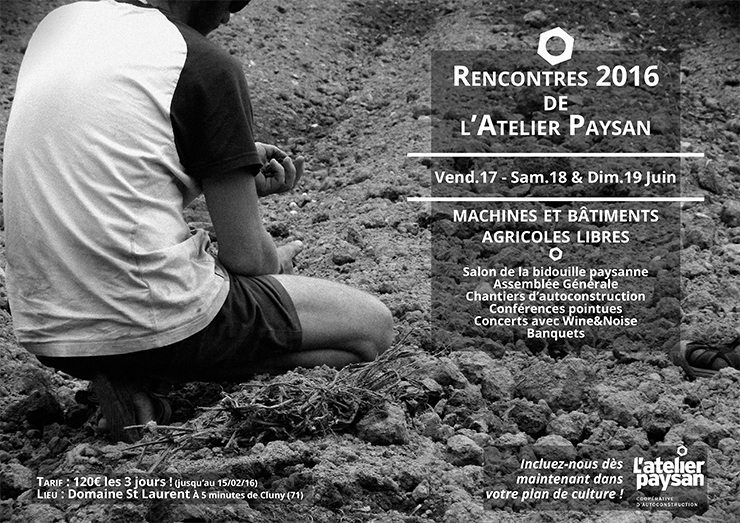 Atelier Paysan is a French cooperative of small-scale farmers, engineers and agricultural development organisations. Together, we develop methods and practices to reclaim farming skills and achieve self-sufficiency in relation to the tools and machinery used in organic farming. On 17th, 18th and 19th June 2016, we will be holding a gathering on a farm in the region of Bourgogne. Check out this dorky awesome video. Commence agricultural trance. The warning comes as an estimated 1,700 tractors and thousands of agricultural workers from across the country rolled into downtown Paris on Thursday – part of a growing protest movement led by unionized small- and medium-scale farmers who say they are on the verge of bankruptcy due to drops in food prices, an export glut, and the encroaching threat of factory farms. “It will create some discomfort for the Parisians,” acknowledged Xavier Beulin, president of the FNSEA, the nation’s largest farmers union and organizer of the protest, during a radio interview on Wednesday. Apologizing for the disruption in advance, Beulin said the dramatic show of force from the farmers was necessary in order to “show the government that there is a great determination, great suffering, and great exasperation” on the part of the nation’s struggling food producers. According to the French Agricultural Ministry, an estimated 10 percent of farms in France—approximately 22,000 sites—are on the brink of bankruptcy with a combined debt of one billion euros. Click HERE to read more! monetizing charity is deeply problematic, in france they say NO! “It’s scandalous to see bleach being poured into supermarket dustbins along with edible foods,” said the Socialist deputy Guillaume Garot, a former food minister who proposed the bill. Continue reading full article. Leave a Comment on monetizing charity is deeply problematic, in france they say NO!